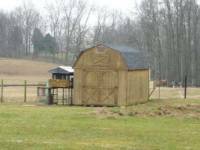 ARE YOU LOOKING FOR A HOME CONVENIENT TO TOWN BUT LOCATED ON A GORGEOUS .41 ACRE LOT IN BARREN COUNTY??? 4 Bedroom 1 1/2 bath. I have a home that will meet almost anyone's needs. I can assist with your financing options Call, text, email or message me for more information!!! CANDACE ELKINS (270)-799-4431. [email protected] Realtor with Wright Choice of Ky Realty and Auction.